Madi Morton has been through more in her 14 years of life than most adults experience. Truth be told, the negatives far outweigh the positives, but by getting immersed in the game of hockey, the Green Mountain Falls Bantam A standout has been able to focus on moving forward and leaving the past where it should be. Losing her father, Tom Reimer, to suicide when she was just in second grade was obviously tragic and an unfortunate situation, but Morton turned to the ice. “When I lost my dad, I didn’t once skip a practice to mourn my loss,” explained Morton. “Instead, I went to play hockey and used it as my outlet. Hockey has always been a way for me to let loose, have fun, and forget about real life. The rink is my sanctuary; it’s the one place I can always go to forget about the struggles I’m going through, even if it is just for a few hours. Playing hockey allows me to get out all of my aggression through hard work, physical play, scoring goals, and winning battles in practice. Earlier this season during a tournament in Vail, Morton was checked into the boards during a game, broke her collar bone and required surgery. She was slated to go play for the Boston Shamrocks 17U girls team and coach Bob Rotondo in the Junior Women’s Hockey League in December, but that was put on hold until next season. 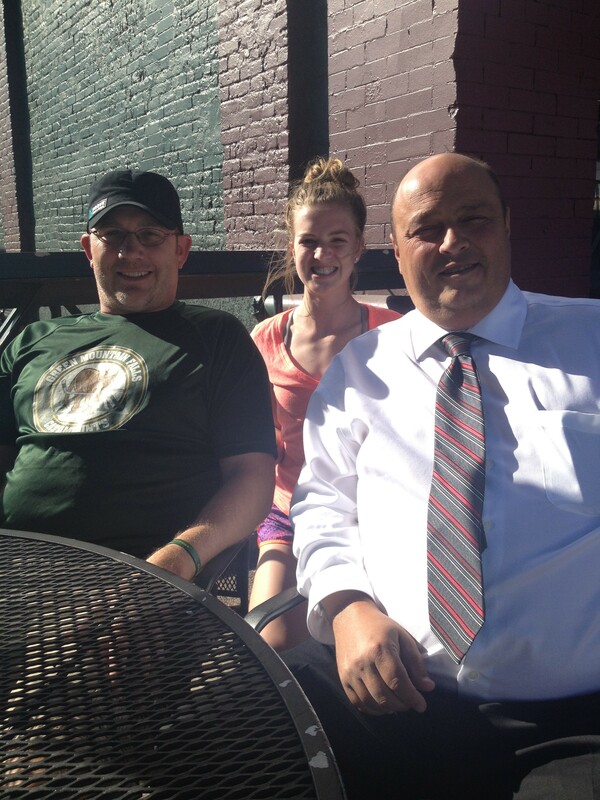 John Pelkey with the Vermont State Amateur Hockey Association has been instrumental in helping Madi with this process as well. His daughter is former Olympian and now professional hockey player Amanda Pelkey. Madi, a native of Colorado Springs, has played hockey for the past eight years and was chosen to play on the Team Colorado girls showcase team this season for a trip to Boston in October. From 8U to first-year Bantams, she played with the CSAHA Jr. Tigers. Additionally, Morton was the only female defenseman in the 2001 birth year in Colorado to be selected for the 2015 USA Hockey Regional Camp. Kelly is also raising a son, Zach, 18, and another daughter, Cammi, 16. Through it all, Madi keeps honing her focus on hockey with an ultimate dream to play NCAA Division I hockey and possibly, play for the U.S. Olympic Team. 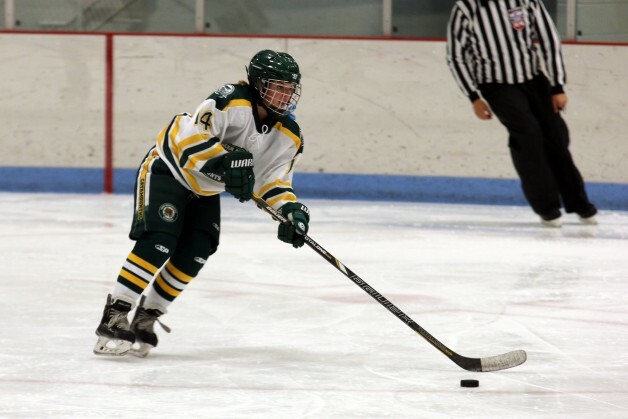 “Madi plays the game of hockey like a driven solider,” said Green Mountain Falls coach Brian Kane. “There rarely is any horse play. She’s focused, receptive and attentive to any teaching words available for her. She’s that one person who knows she has a hill to climb, and is not going to take her foot off the gas to waste time and resources. She is a constant sponge, and not just about her responsibilities, but about the game. She is respected and cherished by her teammates. Off the ice, she is an articulate, beautiful, polite, responsible straight-A young 14-year-old woman. All kids should learn that you can achieve anything you put your mind to, regardless of your situation.